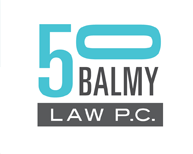 Building a future for Burning Man | 50 Balmy Law P.C. When world-renowned Burning Man sought to transition from a privately held company to a nonprofit, they turned to the firm’s senior lawyer Brooke Oliver. Over five years of intensive work, Brooke served as legal architect of Burning Man’s nonprofit infrastructure, including securing 501(c)(3) status for the Burning Man Project and handling the nonprofit’s acquisition of Black Rock City, LLC (now a subsidiary of the nonprofit), which included extensive due diligence and related transactions. She did the transactional legal work that helped Burning Man Project embrace the nonprofits Burners Without Borders and Black Rock Arts Foundation as subsidiaries. Burning Man co-founder Larry Harvey has called Brooke’s approach “law in the service of soul.” Press and other information can be found at: Huffington Post, the burning blog, and in an excellent TEDx talk by CEO Marian Goodell in Tokyo. In advising Burning Man, Brooke drew from experience assisting with the legacy planning and architecture of the Cesar E. Chavez Foundation and other farmworker movement nonprofits.